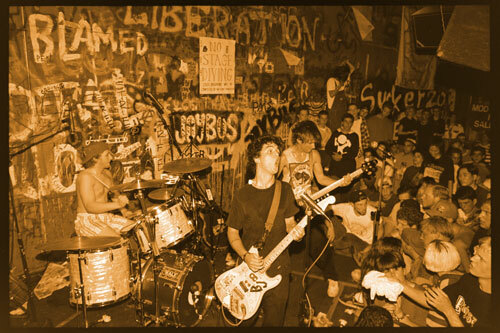 “Turn It Around: The Story of East Bay Punk explores Northern California’s pivotal role in evolution of punk rock – the loud, intense and anti-authoritarian philosophy of music and politics that arose in the late 1970s. Early San Francisco Bay Area punk pioneers like Dead Kennedys, Avengers and Flipper as well as the Maximum Rocknroll fanzine helped take the punk underground global. Today, we know about some of the bands who emerged from this scene, like Green Day and Rancid, but their success is just the tip of the iceberg; the roots of this inspiring story go deep into the underground. 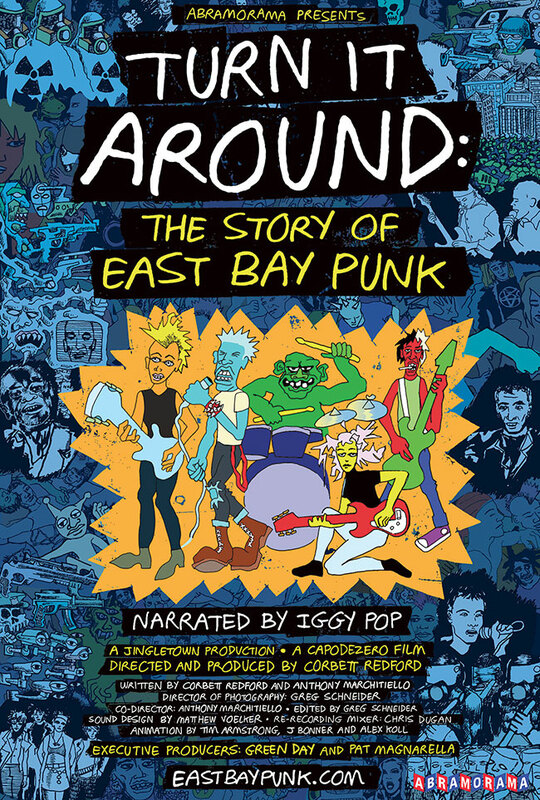 Directed and produced by Corbett Redford, narrated by Iggy Pop and executive produced by Green Day, Turn It Around: The Story Of East Bay Punk is told by the people who were there. 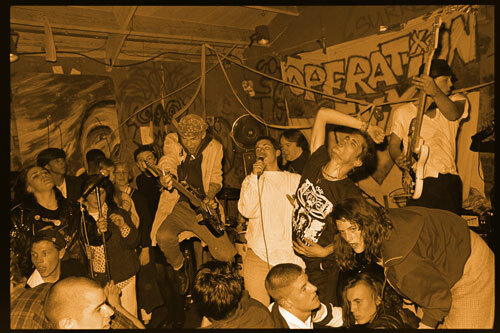 The story of East Bay punk rock unfolds from its unlikely beginnings, continues through its struggles, and triumphs with its raucous power continuing to be influential today.” – Official Website, eastbaypunk.com. I have to kick off this showcase by delving into some emotional aspects of my experience watching this tremendous film. Do you know that feeling directly after accomplishing something that you have been waiting to do for quite a long damn time? Years even? Well, that is exactly how I felt after the credits rolled on Turn It Around. After years of watching this project develop, I was finally able to witness the massive amount of work that our old friend Corbett Redford and his crew were able to pull off and put to screen. And when that project turns out to be even more majestic than you had ever expected, it makes it all that much sweeter. 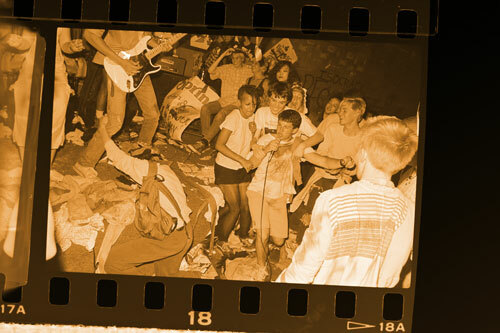 Turn It Around: The Story of East Bay Punk is brilliant documentary that EVERYONE can enjoy. I will be the first to admit, I am not a very “punk” person. I appreciated the punk world and its impact on society prior to watching this film, but I truly had no idea about just how much was going on in this world, specifically in the East Bay area. I had heard of some of the more obvious bands that mentioned in the film like Operation Ivy, Rancid, Green Day (even knew the Sweet Children references! ), and Flipper. And it was amazing to hear about them! But halfway through the film, I found myself jotting down dozens of other bands who I had not realized were around at the time and having such a huge impact on the scene. I even created my own “poser” drinking game where I would take a drink every time a cool new band was mentioned, but had to quickly stop because the film runs delightfully long, and I was determined to get through they whole beautiful event! As I mentioned, you do not have to be a true “punk” fan to enjoy this wonderful documentary. The emotional release and visual stimulation is so readily available that it will earnestly throw you into the world that is the subject at hand. This film is so masterfully made, that even the most noice punk fan is sure to enjoy it. The imagery becomes so delightfully real that you can almost smell the room temperature PBR and sweat moving through the proverbial and actual mosh pit that was the East Bay punk scene. Never before have I been able to watch a film and quickly realize just how much hard work has gone into telling a truly fascinating tale. The story of what was happening in the East Bay during this time period is not only a fascinating story for the music world, it is a genuinely important era of American history. And it needs to be appreciated! I feel as though Turn It Around truly does appreciate what was happening at places like 924 Gilman, and in the vast and different regions across the East Bay. And honestly, as proven in my rambling before hand, I certainly couldn’t have said it better myself. Redford is an enigma in this world, and we are all so lucky that he decided to take on Turn It Around: The Story of East Bay Punk. The man has not only created a lovely 2 1/2 hours of entertainment, he has documented an extremely important era in American history, and he did it amazingly! I implore everyone to check out this film as soon as possible! It is an experience you will not soon forget. Screenings this week at Berkeley’s Elmwood Cinema. Find more info HERE.